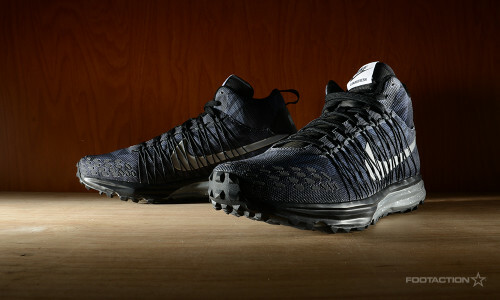 The Nike Lunarfresh Sneakerboot Black/Grey is ready to take on the outdoors, concrete ball court surfaces and backcountry trails alike. The sneaker is a unique hybrid of sorts, coupling a look reminiscent of the Lunar LDV Sneakerboot with details seemingly inspired by runners like the Nike Lunaracer+ 3. Its high-top silhouette remains aesthetically pleasing with its geometric print, reflective 3M Swoosh branding and Dynamic Flywire support. This time around, it arrives in a Black and Grey color palette. 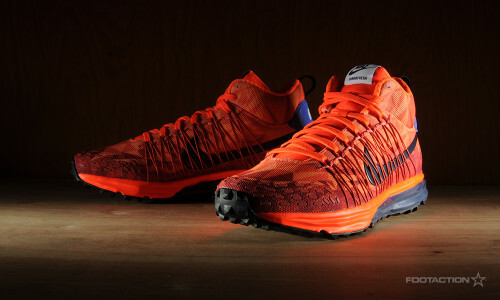 The sneaker sports a Lunarlon midsole and rugged rubber outsole for added traction. 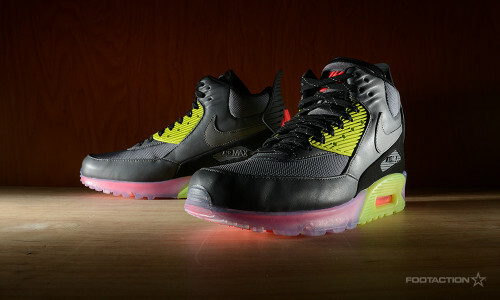 The Nike Air Max 90 Sneakerboot Grey/Black/Volt is a unique hybrid between the Nike Air Max 90 and a sneakerboot silhouette. Drawing cues from the famed ’90s training sneaker’s core aesthetics, the shoe is prepared for cooler months as the readapted classic runner is designed to combat the change in season. Leather and mesh panels are featured across the water-repellent upper, while a colorful translucent rubber sole provide greater traction and visibility. Elsewhere, a soft liner and classic Air Max Unit offers comfort and added cushioning. Nike Sportswear has developed a new version of the Sneakerboot, which is reminiscent of the look and feel of some Nike running favorites. 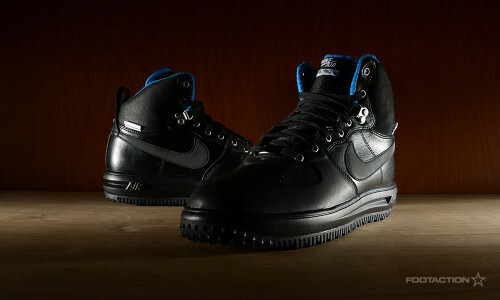 The Nike Lunarfresh Sneakerboot arrives in two distinct colorways: Antarctica and Hyper Crimson. 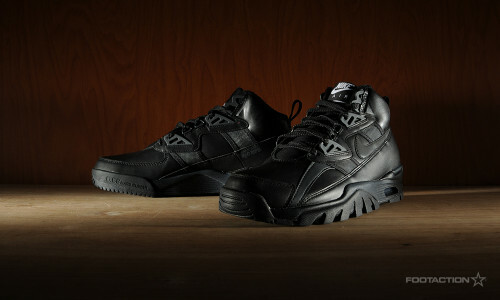 The sneaker boasts a mesh-based upper along with a warm fleece lining for comfort in the cold. The mesh upper is coated in a water-resistant material that wards off moisture while remaining lightweight and breathable. The Lunarlon midsole has a soft and resilient foam core encased within a second layer of supportive foam, providing unbelievably soft cushioning that won’t weigh you down. All of these details sit atop a rubber Waffle outsole providing superior traction on a variety of surfaces you may encounter in this upcoming chilly months.